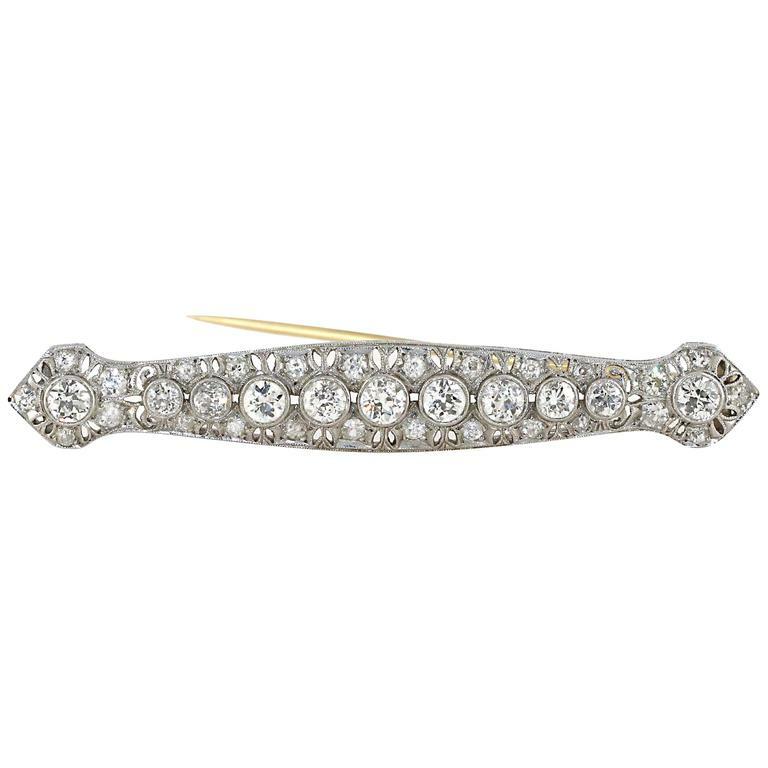 Of open-work design, a long panel brooch set with old european cut diamonds weighing 0.85 carats total. Hand-engraved with milgrain edges. Made in 18k yellow gold and platinum. 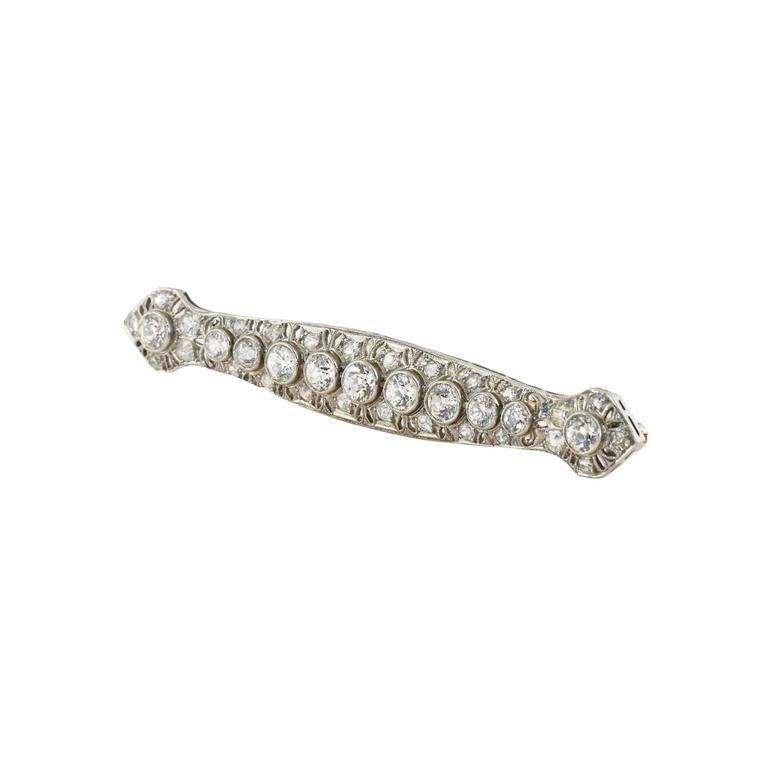 A long panel brooch of open-work design set with old European cut diamonds weighing 0.88 carats total. 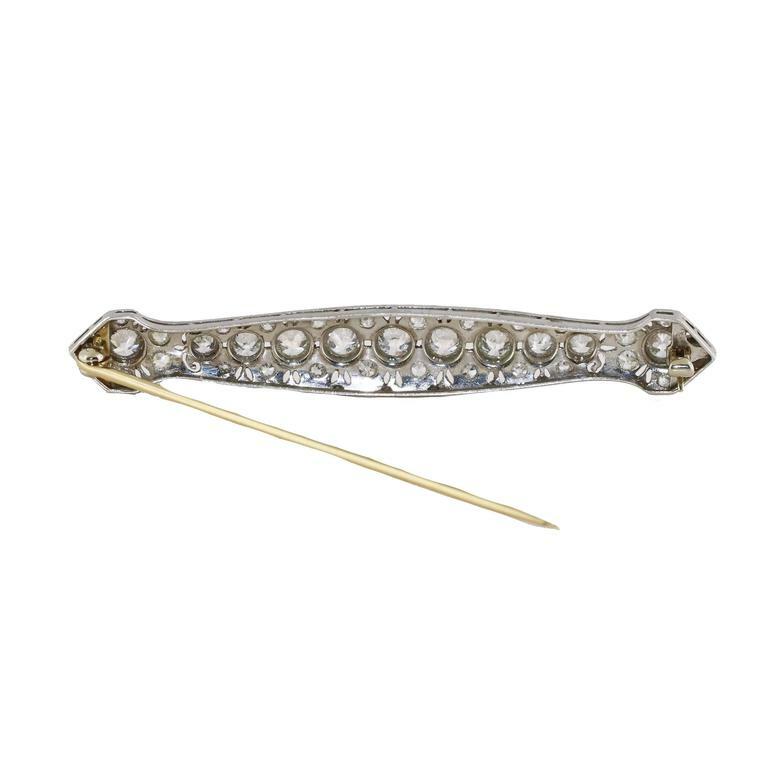 Hand-engraved with an intricate design. Made in platinum.